We will be celebrating Father’s Day in Australia in just over two weeks, so now is the time to work on a gift for Dad. It can be difficult to come up with handmade gift ideas for guys. 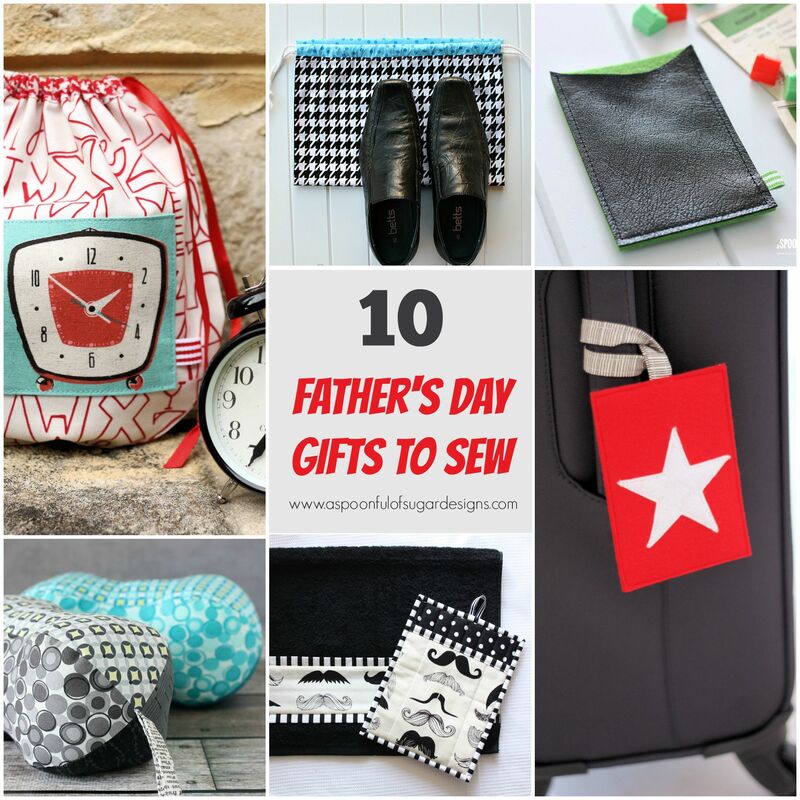 We have included a round-up of 10 Fathers Day gifts to sew for the men in your life. 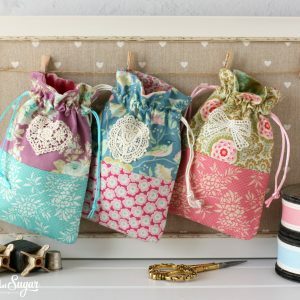 These are all quick projects that can be easily made in an afternoon, and many are beginner friendly. 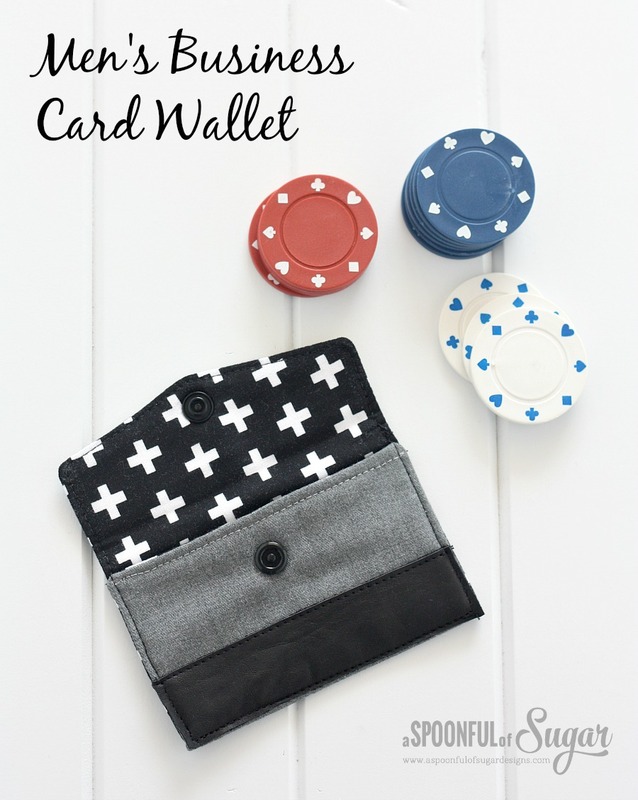 The Men’s Business Card Wallet is constructed from suiting fabric and includes a leather accent. Perfect for Dad to store his Business Cards. 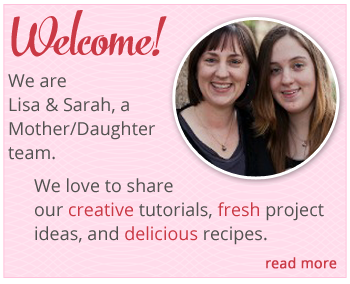 Check out our free tutorial to make this quick project. Fill it with a gift card to Dad’s favourite store. 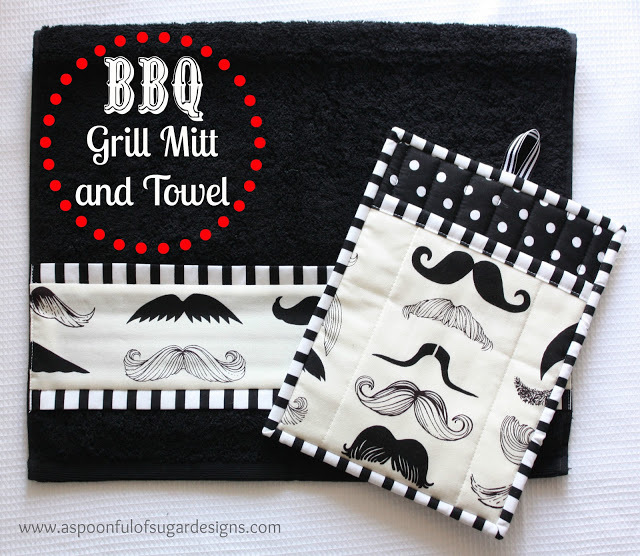 If Dad loves to cook, how about make him BBQ Grill Mitt and Towel? With summer coming, it won’t be long before it is BBQ season again. Team the BBQ Mitt and Towel with Dad’s favourite BBQ sauce. 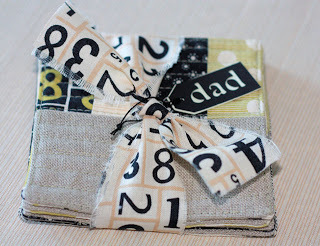 There are loads of great fabric prints around that are great for Dad’s. If Dad loves to travel, how about make him a personalised luggage tag? 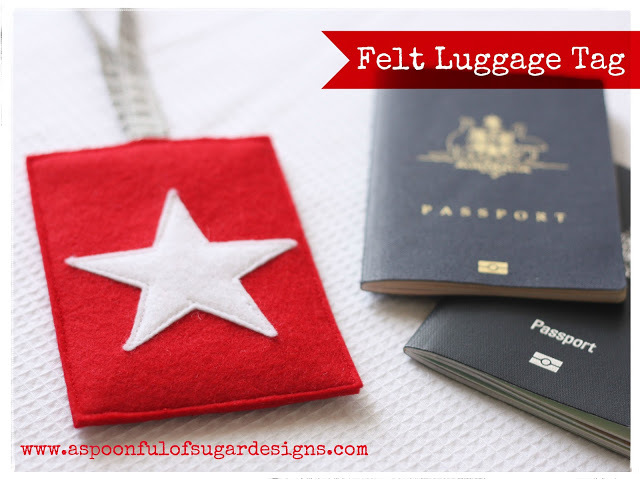 These felt luggage tags are easy to sew and make it easy to identify your luggage on the carousel. 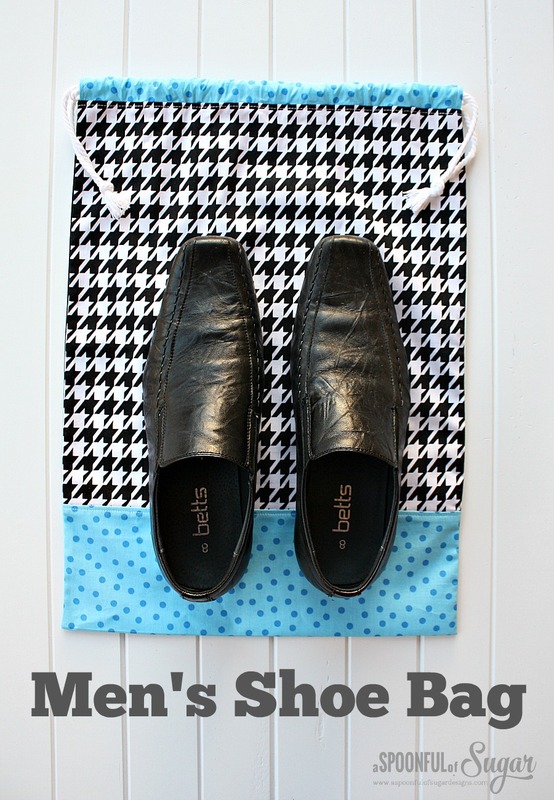 Safely stow your shoes in your luggage with the Men’s Shoe bag. 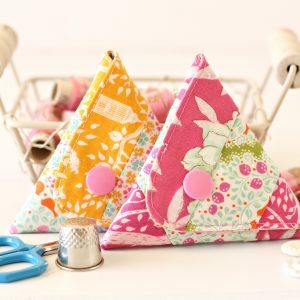 These are fun gifts to sew and are perfect for travelling to separate your shoes from the rest of your clothing. 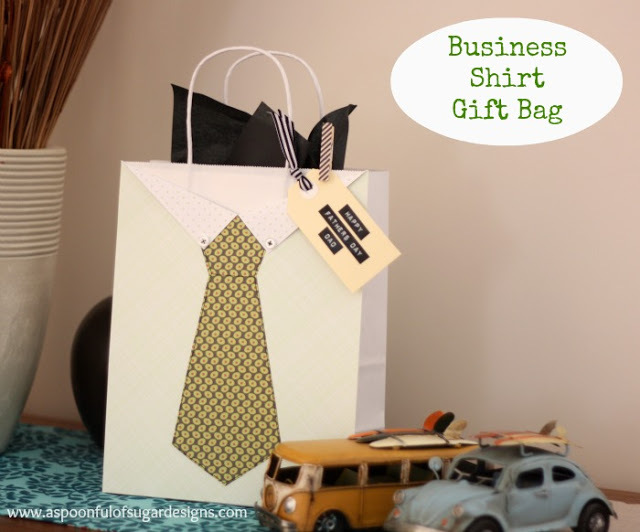 Business Shirt Gift Bag is a fun way to package your gift. The shirt template is sewn onto to the plain gift bag to make it resemble a men’s business shirt. A fun way to dress up your gift! 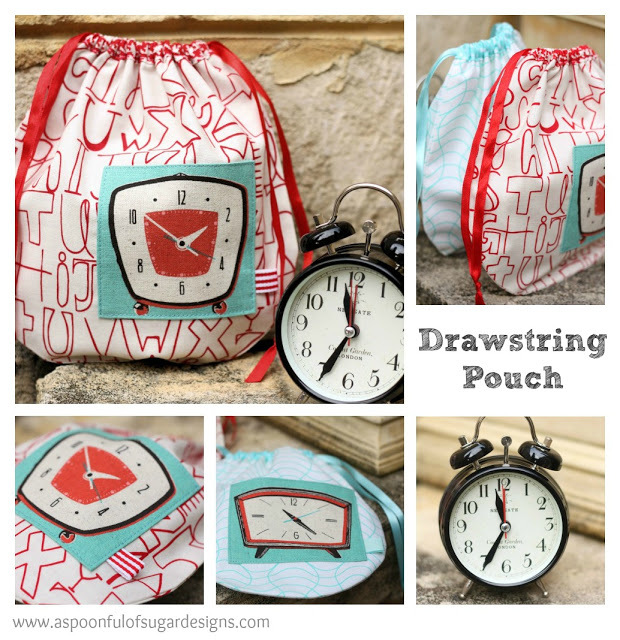 A drawstring pouch is a great way to store electronic cords and chargers when you are travelling. Check out our easy tutorial for all the project details. A felt and leather business card holder is a quick gift and the perfect way to store a gift card to Dad’s favourite store. 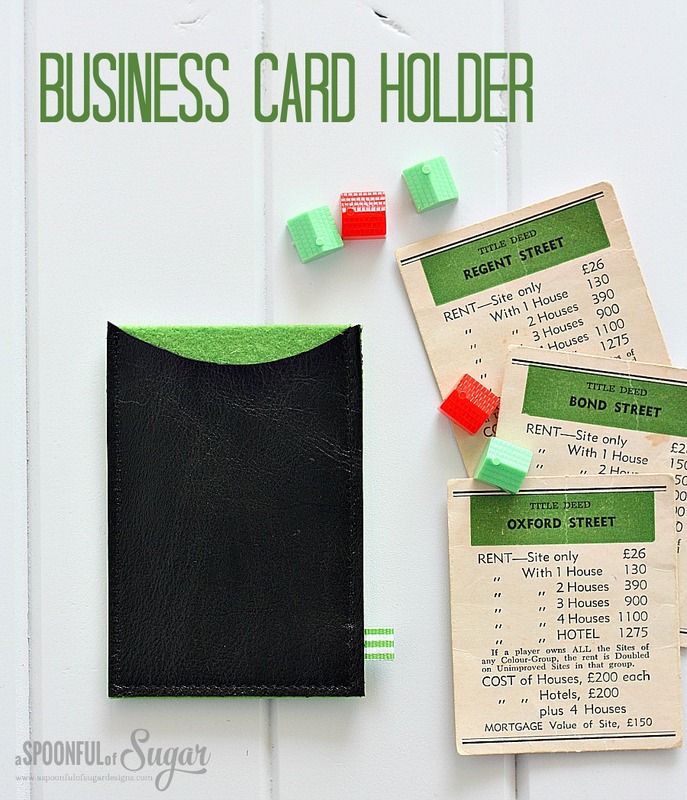 Head to our Business Card Holder tutorial for details. 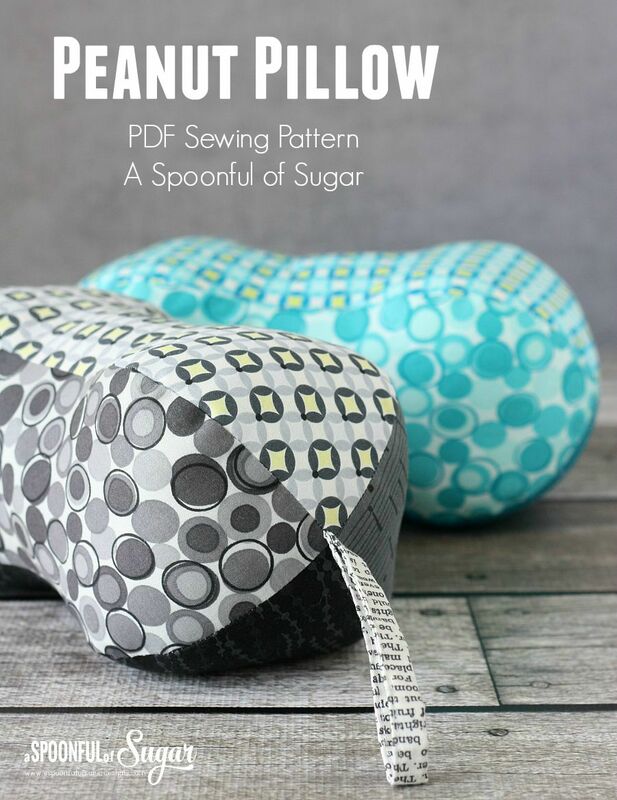 The Peanut Pillow’s are perfect for picnics, travel, watching TV and more. Make them in colours to match Dad’s favourite sporting team. The PDF pattern for this project is available from our Etsy and Craftsy stores. 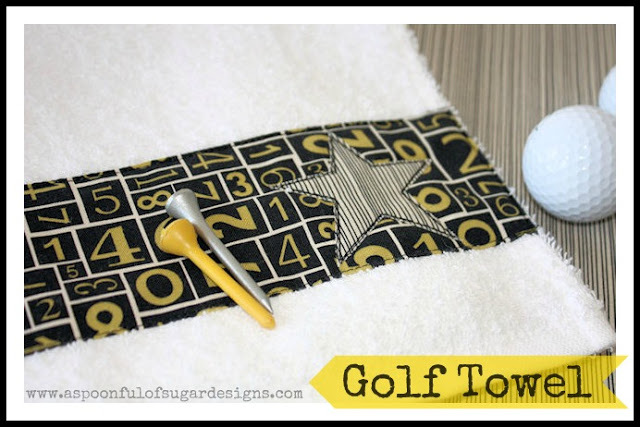 If Dad loves Golf, make him a golf towel that he can attach to his buggy with an eyelet and carabiner hook. 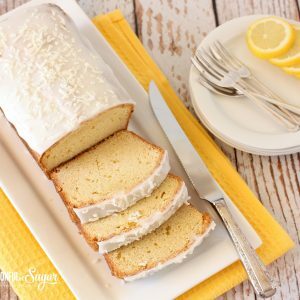 Check out our easy tutorial for all the directions. 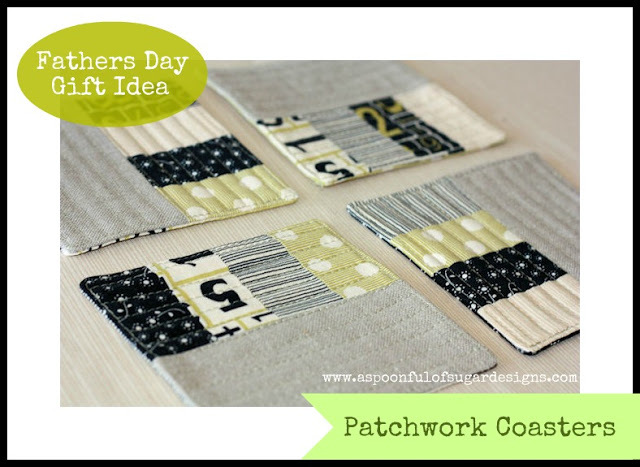 Patchwork Coasters make a practical gift idea for Dad. Partner them with a bottle of Dad’s favourite wine or beverage. Check out our easy tutorial. What are your favourite things you like to sew for men? For more ideas check out more of our Father’s Day gift ideas. Thanks Erika – enjoy your weekend. 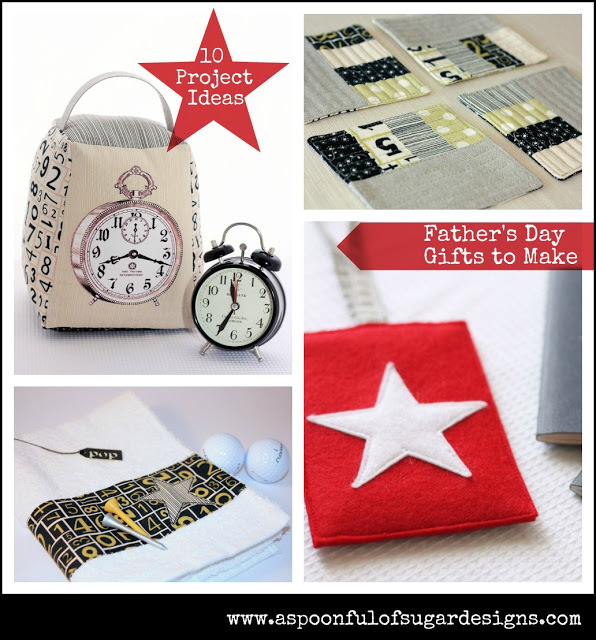 These are excellent project ideas for Fathers Day gifts! I added a couple that I really think my Dad would get a kick out of into my favorites list. Thank you for sharing. Have a wonderful creative day! Thanks Brenda! Enjoy your weekend.